Updates: Congratulations to Mei Xin and Guo Qiang. You will be contacted shortly regarding the collection of your prizes! Thanks for the participation! This week, more prizes to be given away! Simply complete the sentence “What keeps me raring to go is…” in the comments section below and stand to win a pack of BRAND’S® Essence of Chicken, a pack of BRAND’S® InnerShine® Marine Collagen Essence Strip, and a $50 Takashimaya Voucher! Complete the sentence in the comments section below and stand to win a pack of BRAND’S® Essence of Chicken, a pack of BRAND’S® InnerShine® Marine Collagen Essence Strip, and a $50 Takashimaya Voucher! Increase your chance of winning by incorporating BRAND’S® Essence of Chicken into your response! 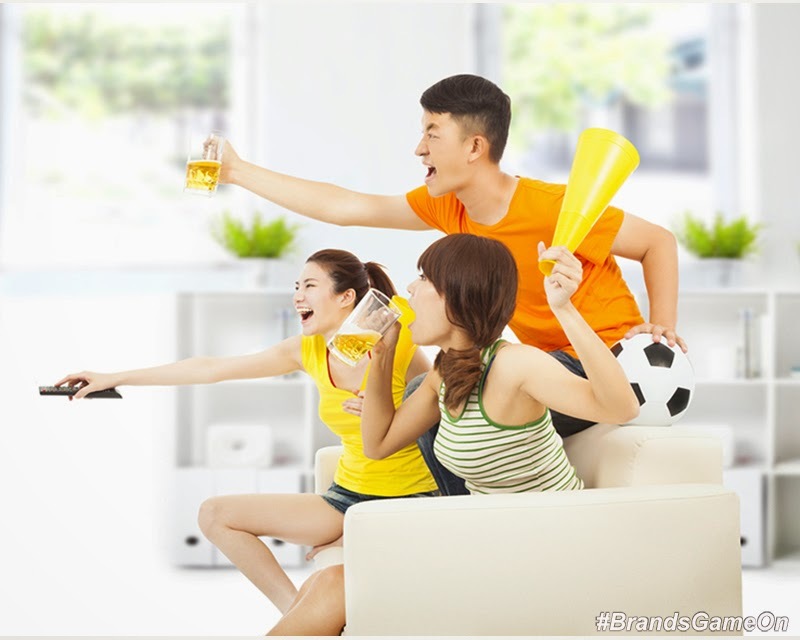 Find out more about getting your GAME ON at http://www.brandsgameon.com.sg! chocolates and Brands! A Brands a day, keeps the Duke of Zhou away! What keeps me raring to go is the hearing innocent chuckles of my baby in the morning and a bottle of BRAND’S® Essence of Chicken to kickstart the day! What keeps me raring to go are the smiles of senior citizen with their BRAND'S Essence Of Chicken. What keeps me raring to go is returning home after work and looking at the smiles on my children's faces. Thanks to BRAND’S® Essence of Chicken, we are healthy and happy everyday! What keeps me raring to go is knowing that i will have enough BRAND’S® Essence of Chicken, to survive thorough study assignments, yearly Apple keynotes, Google I/Os and nevertheless, work routines ! What keeps me raring to go is surviving through the night watching World Cup with a bottle of BRAND’S® Essence of Chicken! What keeps me raring to go is the smile on my parents face knowing that i’ve won a pack of BRAND’S® Essence of Chicken for them! What keeps me raring to go is my trusty bottle of BRAND’S® Essence of Chicken... an energy boosting fix-it-all in a bottle and my savior during back-breaking, soul-destroying working hours. What keeps me raring to go is to see Netherlands getting their FIRST World Cup Champion!! by drinking Brand's Essence of Chicken it's keep me awake and not feeling tired during the day time!! Brand's Essence of Chicken IT"S THE BEST!!! They played really well this year and i think they should win!! today will be their semi-finals hope they rock the world with their awesome skills! What keeps me raring to go is see who is the World Cup Champion this year!! 4 years after Spain won last world cup its quite sad to see them out so soon!! i been waking up in the night just to see those matches!! and brand's essence of chicken do lots of work to keep me awake during work the day time! i think that Germany will win this world cup!! and Thomas Muller will be their key to win!! Thanks for the awesome giveaway! What keeps me raring to go is see how my daughter and sons grow up and get married & play with my grandchild in the furture!! I'm so happy that they bought me BRAND'S Essence of Chicken for this world cup so that I could be filled with energy during the day time to work HOPE BRAZIL WILL WIN THIS WORLD CUP FOR THE 6th TIME!! What keeps me raring to go is catching World Cup 2014 and to keep me awake, I need BRAND’S® Essence of Chicken. What keeps me raring to go is staying up to watch World Cup and drinking a bottle of BRAND’S Essence of Chicken in the morning to keep me refreshed and energetic for the rest of my day at work. What keeps me raring to go is to drink a bottle of warm BRAND's Essence of Chicken in the morning to give me energy and allow me to dispense with the long hours of my household chores and works after watching football match. At the end of the day, I still stay alert and fresh. What keeps me raring to go is drinking BRAND’S® Essence of Chicken with the "Chicken-Can-Do" attitude at the "Golden Chicken" timing and watching Brazil play "Golden World Cup" with their "Golden Chicken" Jersey ! The contest is officially closed. I will announce the winners here and also on Instagram. Stay tunned for next week's contest!